The Easton's Group is developing the Phase 2 tower of the Rosedale on Bloor Condos (Phase 1 has sold out), in the core of downtown Toronto. 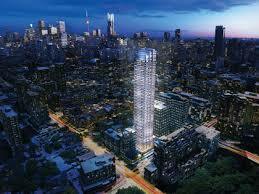 The Skywatch Condos is an equal distance to the University of Toronto and Ryerson University. Conveniently located, residents will be only minutes to the world class shopping, restaurants and galleries in Yorkville. The Skywatch Condos is steps to the TTC subway station, Yonge Street Corridor, and will have breathtaking views of Rosedale Valley and downtown Toronto. The developer is now offering VIP pricing to my clients for a limited time. This project is not open to the public yet, so this is a fantastic opportunity for investors and end-users to get in now at the lowest possible pricing. Available units are being sold on a first-come, first-serve basis and will definitely sell out very quickly. Contact me as soon as possible for further details, as VIP Broker Sales are now underway.